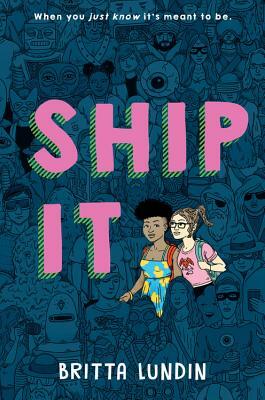 From Riverdale screenwriter Britta Lundin, Ship It is a funny, tender, and honest look at all the feels that come with being a fan.CLAIRE is a sixteen-year-old fangirl obsessed with the show Demon Heart. FOREST is an actor on Demon Heart who dreams of bigger roles. When the two meet at a local Comic-Con panel, it's a dream come true for Claire. Until the Q&A, that is, when Forest laughs off Claire's assertion that his character is gay. Claire is devastated. After all, every last word of her super-popular fanfic revolves around the romance between Forest's character and his male frenemy. She can't believe her hero turned out to be a closed-minded jerk. Forest is mostly confused that anyone would think his character is gay. Because he's not. Definitely not. Unfortunately for Demon Heart, when the video of the disastrous Q&A goes viral, the producers have a PR nightmare on their hands. In order to help bolster their image within the LGBTQ+ community-as well as with their fans-they hire Claire to join the cast for the rest of their publicity tour. What ensues is a series of colorful Comic-Con clashes between the fans and the show that lead Forest to question his assumptions about sexuality and help Claire come out of her shell. But how far will Claire go to make her ship canon? To what lengths will Forest go to stop her and protect his career? And will Claire ever get the guts to make a move on Tess, the very cute, extremely cool fanartist she keeps running into?